Matthew Shapero is the Livestock & Range advisor serving Santa Barbara County. 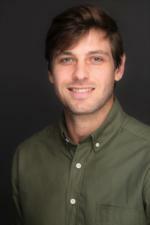 Prior to starting as an advisor, Matthew worked for the Rangeland Planning & Policy and the Rangeland Ecology labs at the University of California, Berkeley, and worked as a graduate student researcher at the UC Agriculture and Natural Resources Sierra Foothills Research and Extension Center. Matthew also has experience in small-scale, grass-fed meat production, working as rancher in the Sierra Nevada foothills at points between 2010 and 2016. To schedule a ranch visit, please call Matthew at (805) 645-1475, or email him at mwkshapero@ucanr.edu. 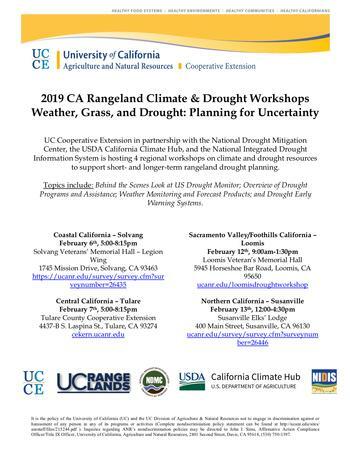 "Weather, Grass, and Drought: Planning for Uncertainty"
To register for the "Weather, Grass, and Drought: Planning for Uncertainty" workshop, please click here.